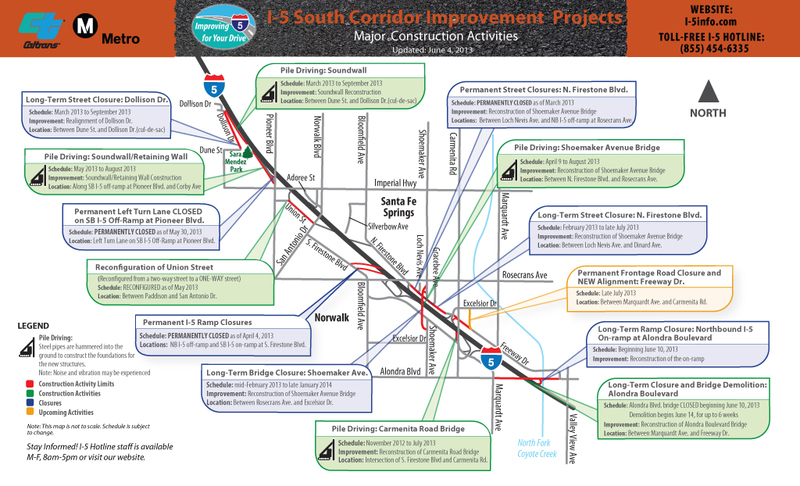 The Santa Ana Freeway (Interstate 5) HOV Widening and Alondra Boulevard Bridge Project extends from North Fork Coyote Creek to Marquardt Avenue in the City of Santa Fe Springs. Caltrans has reconstructed the Alondra Boulevard bridge overcrossing and widened nearly one mile of I-5 from North Fork Coyote Creek to Marquardt Avenue. In April 2012, the Alondra Boulevard Bridge Project began construction. It was the second of six I-5 Corridor segments to begin construction from the Los Angeles/Orange County line to the San Gabriel River Freeway (I-605). The 57-year old bridge was completely demolished in June 2013. 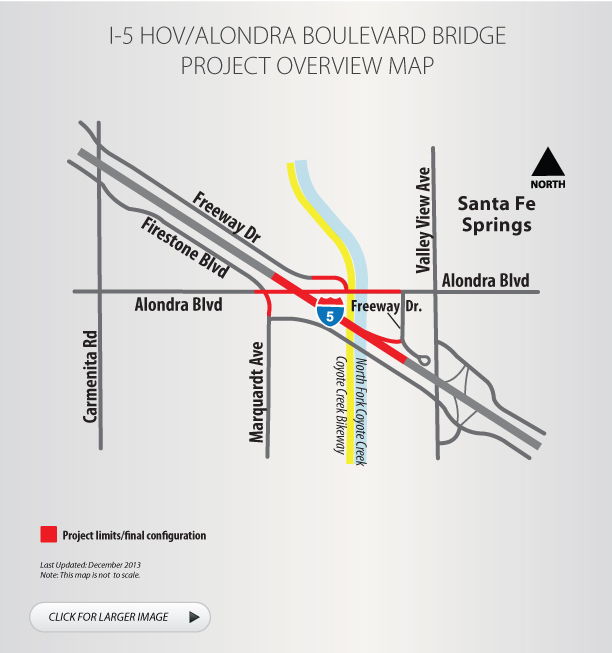 The Alondra Boulevard Bridge has been reconstructed and widened from a four-lane to a six-lane bridge, with three lanes in each direction, and longer to accommodate a wider freeway. 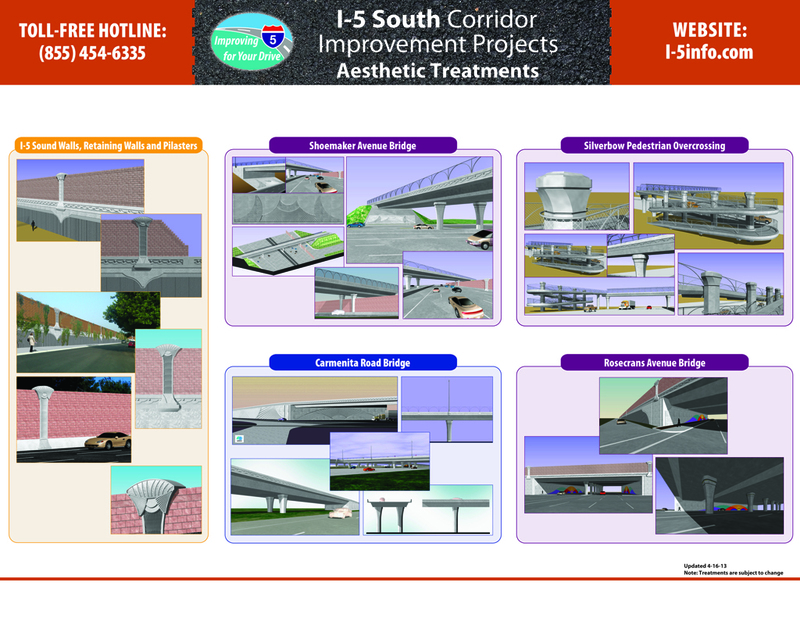 The project added one High Occupancy Vehicle (HOV) and one general purpose lane in each direction, widened shoulders and constructed a concrete median barrier.